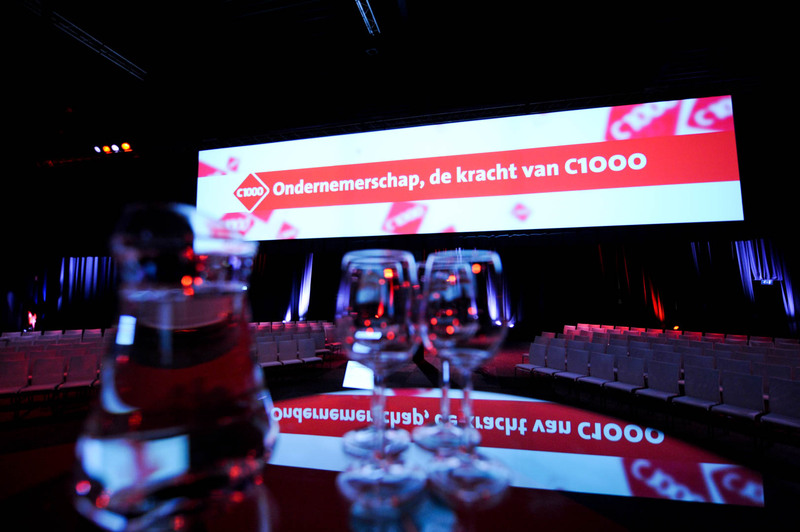 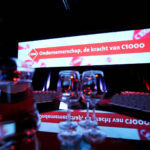 For the event company Aventiq we created 2 massive wide screens of 15 x 3 meter with 6 x Digital Projection Titan-700 1080p 10.000 ansi lumen. 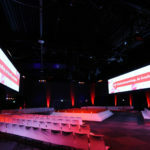 Also we used 2 x DP Lightning-L38 1080p 20.000 ansi lumen projectors for the entrance and exit of the venue as signage that the event started and where to go when it was finished. 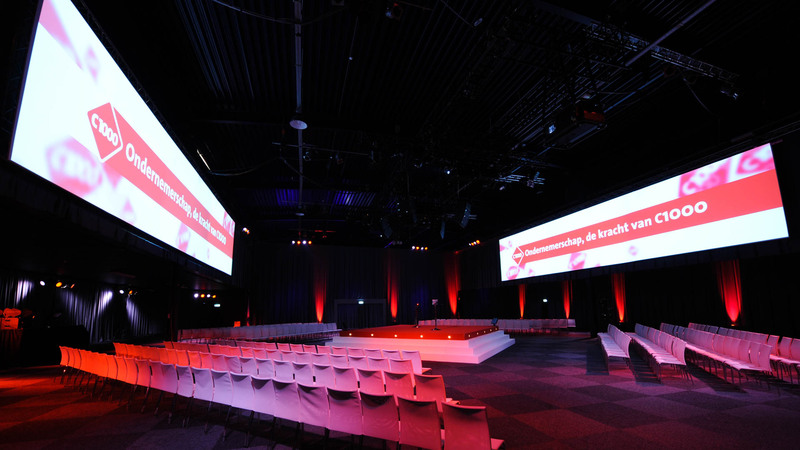 We used 2 x Vista Spyder 344 to feed the Watchout system ,for background animations, and several IMAG and power points to the screens. 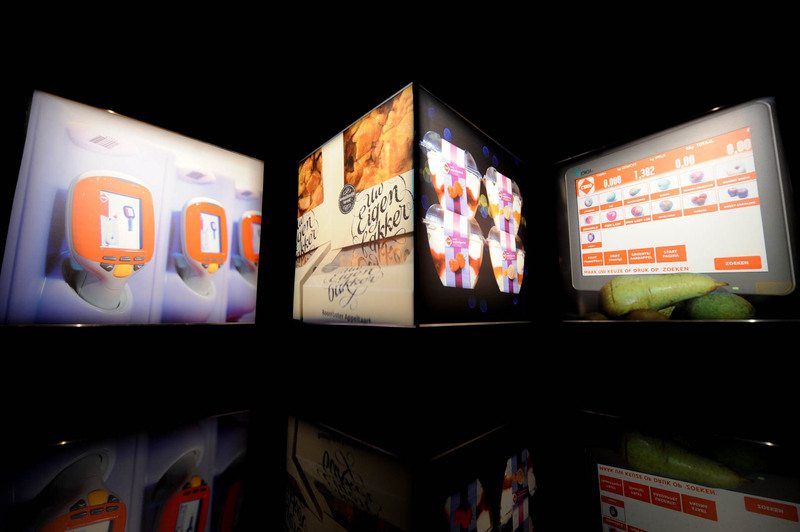 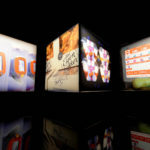 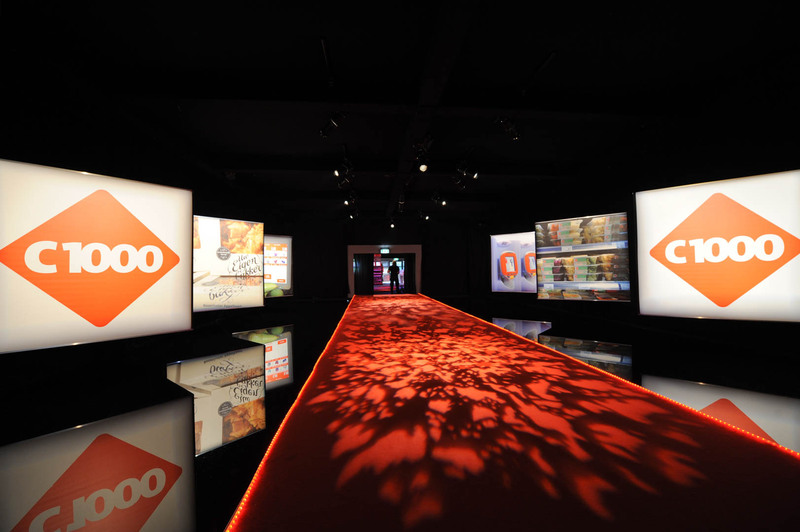 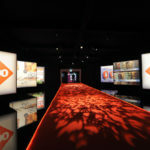 For the entrance of the venue the visitors experienced a maze of portrait placed projection screens each projected with a Digital Projection Eon 6000 ansi lumen projectors.